Pictured are Stacey Rentschler of Sweet Addictions Boutique in Elkader with Lanette and Tammy from Alpine accepting her donation of gorgeous hats, scarves, and mittens to the Alpine Mitten Tree. 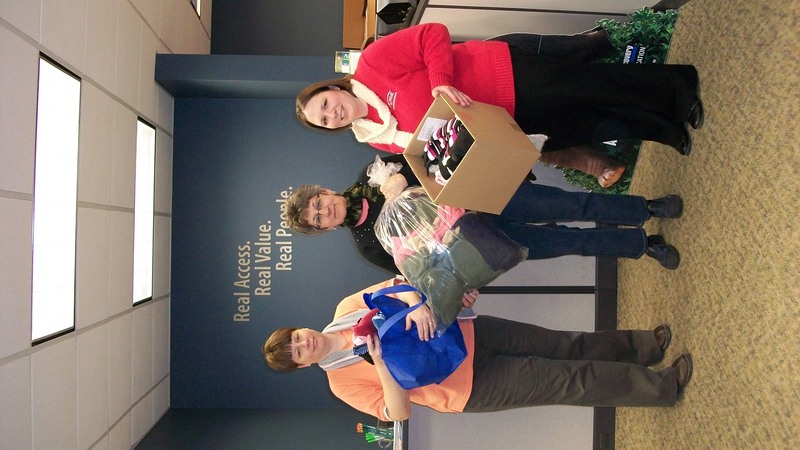 Alpine Communications’ “Mitten Tree Program” is in full swing during the holiday season. The purpose of the “Mitten Tree Program” is to collect new or handmade hats, gloves, mittens and scarves for individuals within our community who are in need. This is an opportunity for individuals, families, groups and businesses to support this local program and help a child/children, adults and/or seniors to stay warm during the winter months. The proceeds will go to families of Northeast Iowa. In the spirit of giving, those who make a donation will receive a coupon for 10% off a purchase from the Alpine Communications Retail or Digital Photo Center. Some restrictions apply. Please contact Sara Hertrampf, Alpine sales and marketing manager, at (563) 245-4475 for details.